Super proud of my Birmingham Bloomfield Art Center students! 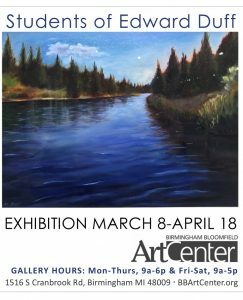 Opening reception is on Friday, March 8 from 6-8 pm. © 2019 Edward Duff Fine Art. All Rights Reserved.